Brooklyn Boulders (BKB) is an interesting beast. A climbing gym…. Sure, but it is quite a bit more than that. I truly found myself intrigued by the organization as a result of Hurricane Sandy and just over a year later my passion for BKB was reaffirmed as a result of Typhoon Haiyan. 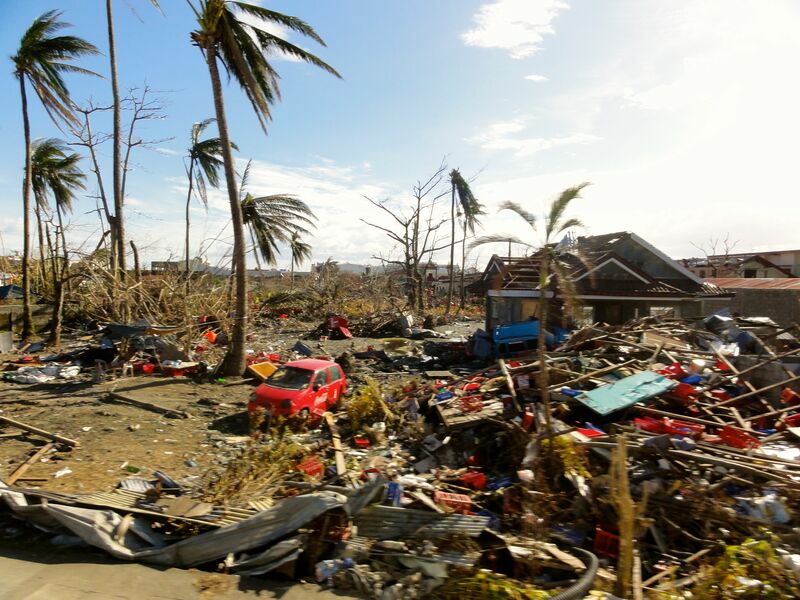 When Typhoon Haiyan hit I immediately began getting calls from the international relief community as to whether or not I was going to head over to the Philippines. As an involved member of the Brooklyn Boulders team I was not sure that packing my bags and hitting the road at the drop of a hat for an undetermined amount of time would fly with the team – I couldn’t have been any more off, and that is what I love about BKB. Brooklyn Boulders is a truly platform that supports its community members interests from employees to customers despite how esoteric they may be in many more ways than an average fitness institution. Two days after bringing up the potential of deploying to the BKB team I was in route to Manila with everyone back home signed on to cover me in my absence. Pulling from the experience during Hurricane Sandy and realizing the importance and power of local public – private and government partnerships I hit the ground working to re-create the model for the Philippines mission. Again I found myself working with Team Rubicon and within a few days we had tied in with Ruel the founder of Pilipinas911 – Manila’s private 911 system, Jun the CEO of Tao Corp. one of the countries largest distributers of coffee, and the acronym soup: AFP, NDRRMC, DSWD, DOH JSOTEPF-P, which stands for the Philippine Air force, their equivalent of FEMA, Joint Special Operations task force etc. We had MOUs and buy-in from the local government, military, business community and non-for profit sector. In international disaster relief scenarios getting huge amounts of aid into the affected country is never the issue. The challenge is almost always last mile distribution and there are none better equipped to handle that than local businesses. With Ruel and Jun’s help we managed to wrangle trucks, warehousing, and a supply chain and then we went to work. Its an amazing challenge getting air-lift capacity to transport supplies from Manila to a disaster zone, let alone getting those supplies cleared past customs and sorted in a staging area. Or how about moving constant teams arriving from the US throughout the Philippines – these are the types of challenges faced prior to even being able to get boots on the ground to respond. Within a few days of the occurrence we had a forward deployed search and rescue team on the ground and within the week we had a robust supply chain set up to sustain ongoing operations. The focuses were on and around Tacloban City (ground zero) and the surrounding areas. From running medical clinics that preformed over 10 baby deliveries in the immediate aftermath of the typhoon, to helping rebuild critical infrastructure, the deployment was a success. Thank you to Brooklyn Boulders and the entire community for your support on this mission.